An arch-Blairite, he was the Home Secretary at the turn of the century, until 2004. Was the Education Secretary in Tony Blair's government who was largely responsible for the introduction of university tuition fees and the axing of the student grant. Became the Home Secretary for a while, involved in drafting numerous controversial, often right-wing, pieces of legislation. 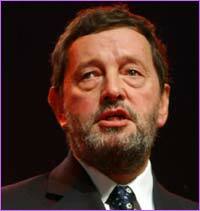 While in charge of the Department of Work and Pensions, continued to launch attacks on Incapacity Benefit. Not at all liked by the left, ourselves included ! Was Prime Minister of the UK during World War II. Often seen as a war hero, yet in peace time he was mostly a right-wing Tory b*****d.
Was a Labour Party MEP, before being expelled from the party for opposing Tony Blair by voting against cuts in benefits for single parents and disabled people. Was a leading figure in the Alternative Labour Group and the Independent Labour Network. 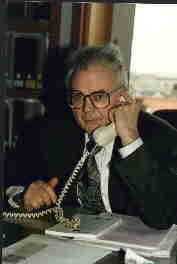 Was involved in the anti-Balkan War campaign, against the bombing of Yugoslavia in 1999. One of the leaders of the Chartist movement of the early 19th century, the first working-class political movement in the UK. Vic Finkelstein was a pioneer of the disability rights movement in the UK, being one of the pioneers of the Social Model of Disability. For a history of how he became active in disability politics, read A Personal Journey Into Disability Politics, written by Finkelstein in 2001. 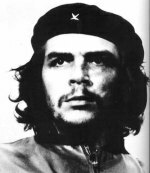 A leading figure in the Cuban revolution. Also involved in revolutionary activities in several Latin American countries and even Africa. His books and left-wing political beliefs make him an inspiration to many revolutionaries even today. Was a leading member of the Green Party from the late 1980s until the early 1990s. presided over (arguably) the only true socialist society the world has ever seen. Peter The Great played an important part in creating the conditions for the development of Western Capitalism in Russia. Royalists often seem to believe that Royals are in some way "a race apart" from the rest of us. This is not true - they are no different from, and no more able to rule than, the rest of us - except that they are in power because their families have been in power for generations before them. Indeed, some Royals have had disabilities - such as the Russian Czar, Peter the Great (as he modestly called himself). In my opinion, all Royals - even disabled Royals - should be done away with ! Started as a moderate reformist, but was too reformist for the US Establishment and big business who "pulled out" their support for him. Survived as President by appealing more to the Working Class, by becoming more reformist. Ironically, he kept his disability, largely, a secret as he feared - if it became public knowledge - it would endanger his position as President. Which is a great shame, considering he was one of the USA's better Presidents (in my opinion). 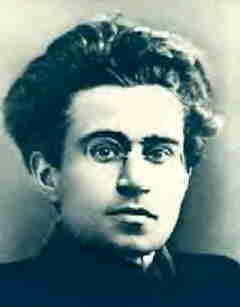 Politics: left-wing revolutionary, was part of the Socialist Workers Party's organizing committee. Unlike Roosevelt, Pat Stack does not keep his disability hidden. As well as having a brilliant political understanding, he is a great speaker and does several meetings every year at Marxism (the SWP's "summer school") in London. Wrote the "Stack On The Back" article in Socialist Review, the SWP's monthly magazine, from the 1980s until July 2004. As a child she was struck by an overseer. The blow fractured her skull and resulted in narcolepsy for the rest of her life. She rescued hundreds of slaves on the underground railroad. The first President of the USA. Had a learning disability. He could barely write and had very poor grammar skills. 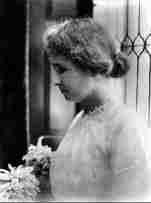 Most famous as a deaf-blind teacher, Helen Keller was also an active socialist. For more details, read The Socialist Legacy of Helen Keller. Has campaigned for animal rights and vegetarianism, and against landmines, seal hunting and the fur trade. Has appeared on BBC TV's Celebrity Come Dancing. Other famous people with disabilities have been known for their left-wing or socialist viewpoints, eg the scientist Albert Einstein, the poet Lord Byron, and the science-fiction author H.G.Wells.